When you grow up with Tom Rhodes as your father, it is difficult not to be passionate about real estate – and Thomas is passionate about real estate. 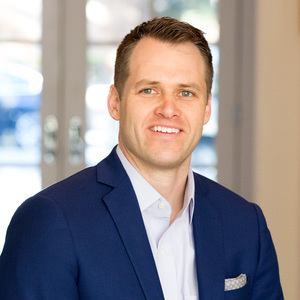 Having grown up in the Park Cities, Thomas understands the Park Cities’ real estate market and the surrounding areas. Thomas also brings to his clients a breadth of real estate knowledge including retail real estate leasing, distressed debt, and residential investment sales. His action-oriented and disciplined approach to real estate helps provide his clients with superior customer service and timely market knowledge. Thomas is a graduate of Highland Park High School, and he also graduated with Academic Honors & Distinction from the Virginia Military Institute in Lexington, Virginia, where he received his B.A. in Economics and Business. Thomas is married to his beautiful wife – Molly, has 2 children, and are members at Watermark Community Church. “Thomas did an excellent job with our home sale and purchase.“ - Matthew O. “Very knowledgeable, stayed on top of things, guided me through a stressful unknown, trustworthy “ - Nancy W.
“Thomas is such a great guy. He is very patient, but also very pro active in helping you find what you're looking for at the same time. Working with him is always such a fun experience and its impossible not to become friends. We are clients of his for life. “ - James & Madison S.